Category Archives: Who Should Be Captain? 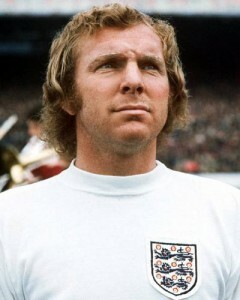 State Of Leadership â€“ Who Should Wear The Prestigious Armband At Euro 2012? With the second biggest question in English football looming overhead Discount Football Kits gives its take on the situation to 11lions.co.uk. Whomever gets the nod for the next England manager, one of their first big decisions is going to be directly tied in with the departure of Fabio Capello. With the FA sticking to its guns that John Terry cannot captain his country while awaiting trial for an alleged on-the-pitch criminal offence, picking a new England captain become a priority in the run-up to the European Championships. If fan polls are anything to go by, the public believes it’s a three horse race. The most cited candidate by supporters in a Guardian poll was Steven Gerrard. Supporters claim he’s a proven leader both at club and international level with both the experience and ability to be captain. There’s also a great argument that Gerrard leading them team would not only be an inspiration to the other players, but could even up Gerrard’s own game as he thrived on the pressure. It’s also notable that Wayne Rooney has backed Gerrard as a candidate, and when you consider the bitter Man Utd-Liverpool rivalry, you can be sure Gerrard has the respect of his countrymen. The big drawback however is his reputation for aggressiveness both on and off the pitch: while it’s important to remember he was found innocent of all accusations, his courtroom appearances could be an issue given the context of the vacancy. If the new boss is looking for a safer choice, Scott Parker could be the way to go. At 31, he’s developed the maturity and respect that’s required to be an effective captain. There’s also a case that his all-rounder style means he’s likely to always be close to the action, making it easier for him to take a lead role throughout the game. The main knock against Parker is that he is a relative latecomer to the senior national team and it could be curious to have a man with just a handful of caps captain the country. The third main option is Joe Hart, who’s got the public backing of both James Milner and Gareth Barry. While he’s relatively young, the logic seems to be that he looks set to be a constant in the side for years to come, meaning he could bring stability to the role. Wayne Rooney heads up the rest of the field and has openly said he’d relish the role, though it’s hard to see how somebody with a reputation for hot-headedness on the pitch could take over in the current circumstances. The rest of the field looks to be slim pickings assuming the new manager wants a captain who’s a safe bet for being both fit and in form for the duration of the tournament. Of course, there’s another twist on the debate, which is to ask whether selecting a captain is really a worthwhile task in the first place. There’s a growing call for the FA to adopt the system that’s common in Italy by which the captain’s armband is automatically worn by the most senior player in the team. That would certainly remove a headache and allow the manager to concentrate on other matters without distraction.